Yes, we have had an Ensenada Race promotion. A special promotion is was available for 2015 Ensenada Race competitors. You save the $55 dollar cost of your preference of dan buoy mounting device. You must have the Ensenada Race coupon code and you must use it before 26 April 2015. The coupon code gives you a free mounting bracket or mounting bag with your dan buoy purchase when you buy either combination product shown below. 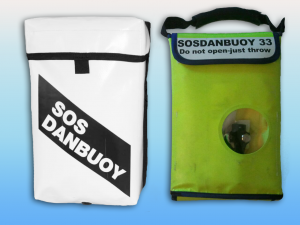 Buy your preference of either combination product: the dan buoy with Dan Hold bracket or the dan buoy with Dan Bag holder. Apply your coupon code at purchase and the price of the mounting device will be deducted at checkout. 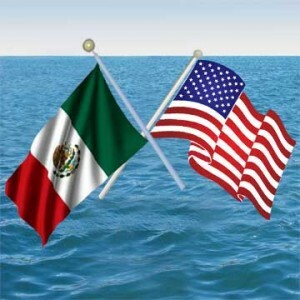 The dan buoy meets ISAF World Sailing requirements for MOB pole and US Sailing Safety Equipment Requirements. 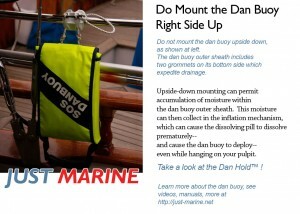 These requirements specify that the dan buoy needs to be mounted within reach of the helm for quick, easy deployment. 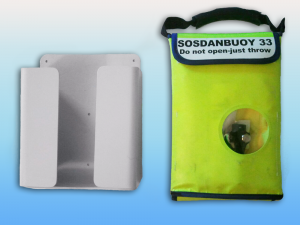 The mounting devices can help you locate the dan buoy in compliance with requirements. Can I Mount Dan Buoy Upside Down? The dan buoy is not engineered to be mounted upside down. It should be mounted so that the deployment handle is up. Another way to say this is that the dan buoy needs to be mounted right side up. 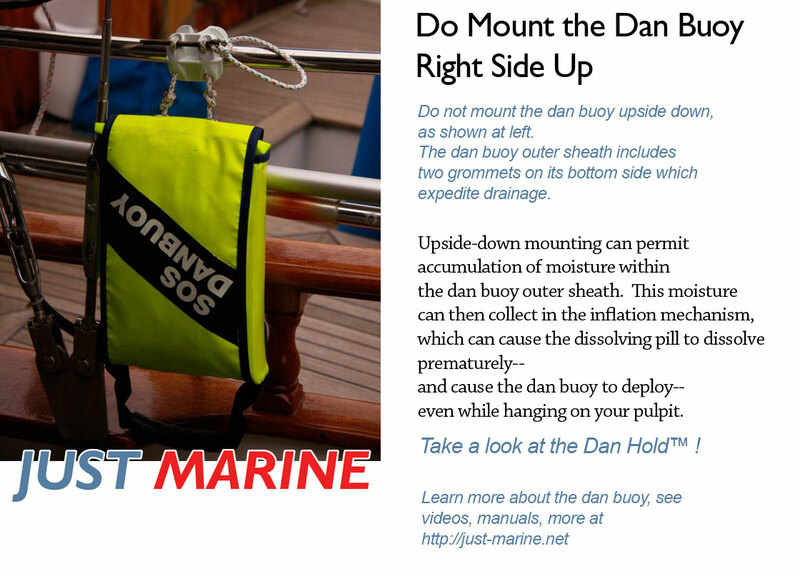 With handle up, it is easier to grab to readily throw the dan buoy, while also permitting water to easily drain through grommets in the bottom of the dan buoy outer sheath. Mounting the dan buoy upside down can permit water to collect in the self-inflation mechanism, which can cause the dissolving pill to dissolve before you need it to. Mount the dan buoy right side up, with the handle upward. See the Dan Hold mounting bracket or the Dan Bag mounting bag.